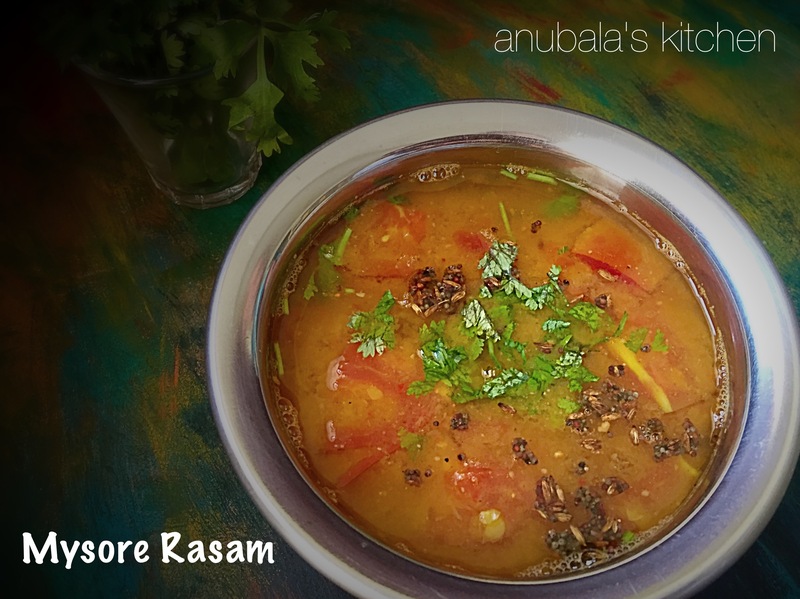 As the name suggests, this is one of the famous varieties of rasam from the Karnataka cuisine. I am fond of all varieties of rasam. But Mysore rasam tops the list. 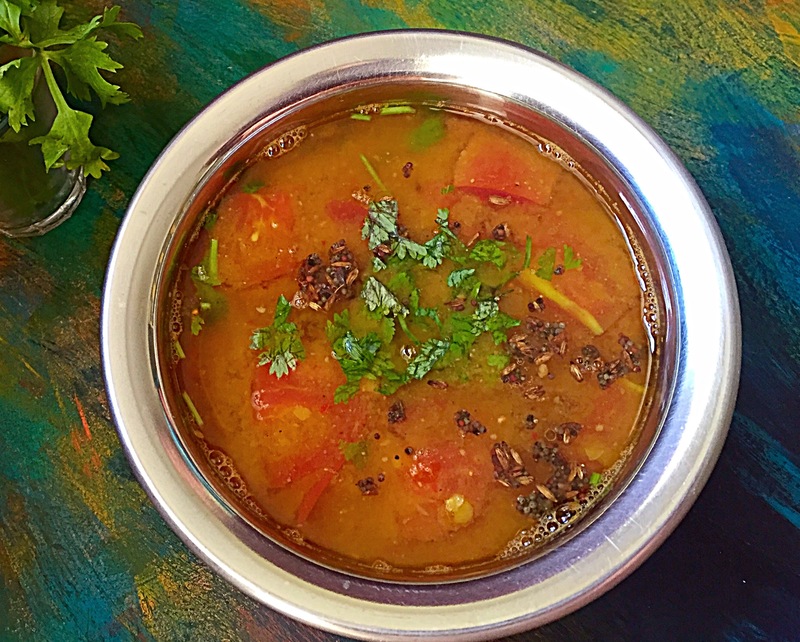 My family too loves this rasam. Soak tamarind in a cup of water for half an hour. Squeeze well and take the extract. Wash and soak tuvar dal for 30 mins. Drain the water completely, add 1 cup of water, 1/4th tsp of tuvar dal and pressure cook for 3 whistles. Mash the dal and keep it aside. Roast all the ingredients mentioned for the rasam powder in 1/2 tsp of oil. Cool and grind to a powder. Add the tamarind extract, 1/2 cup of water, tomatoes, turmeric powder, jaggery and salt to taste in a pan. Boil well till the raw smell of the tamarind goes away. 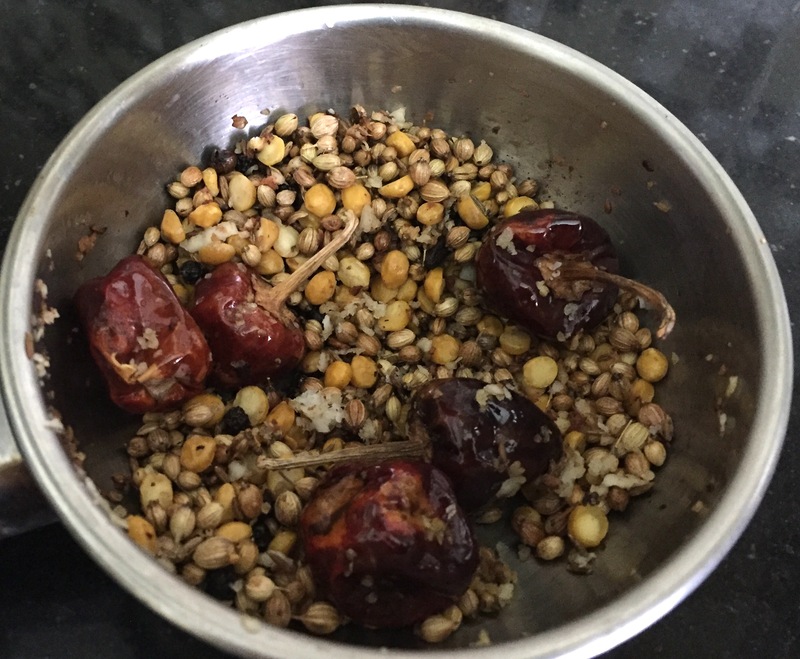 Now add the mashed dal, rasam powder and 1 more cup of water to the tamarind extract and mix well. 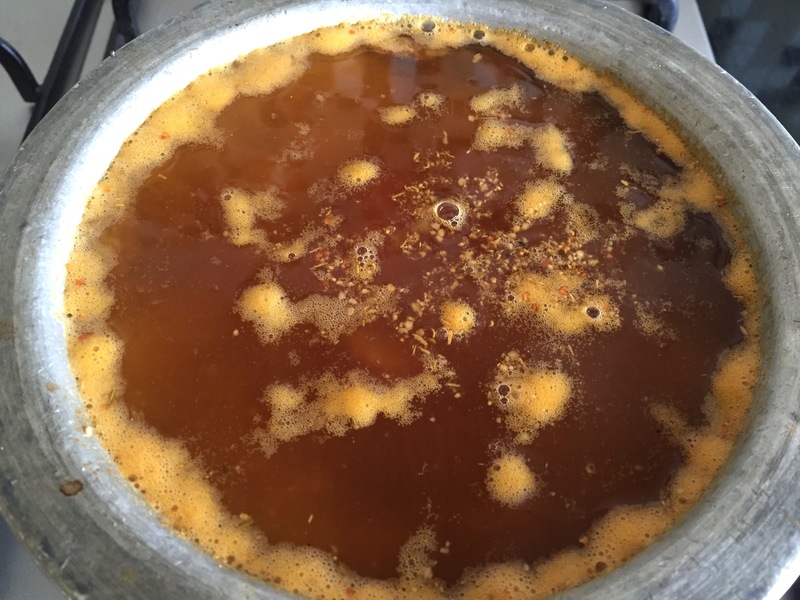 Check the seasonings and consistency of the rasam. Add more water if required. 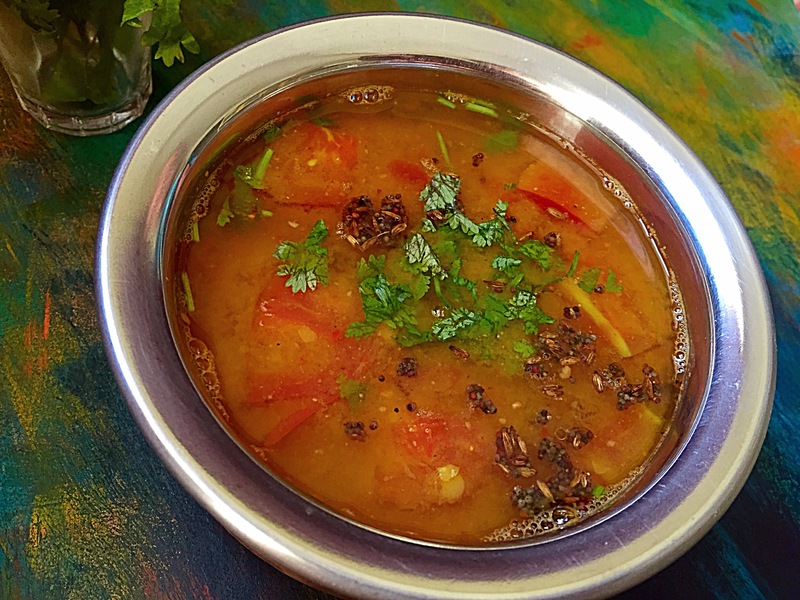 Mysore rasam has thicker consistency than the usual rasam. Let the rasam simmer for few mins. Heat ghee in a pan. Add mustard. When it starts spluttering, add jeera and hing. Sauté for few seconds and add the tempering to the rasam.